October marks an exciting time for one of our clients, Pony Jorgensen. And for Crowley Webb. 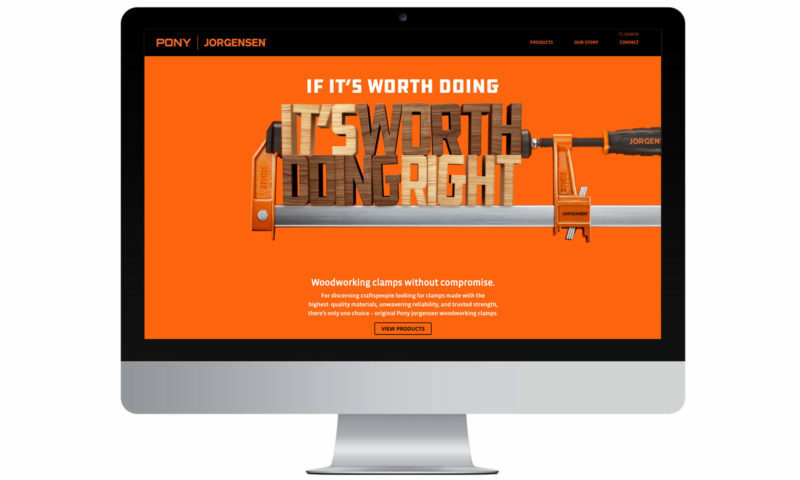 We won this piece of business back in March, and after several months of working hard on this campaign, we are proud to announce the Pony Jorgensen brand relaunch. Pony Jorgensen, an American original. Founded in 1903 by a pioneering woman named Adele Holman (who opened shop under a secret identity), Pony Jorgensen makes woodworking clamps of uncompromising quality. It’s a historic American brand beloved of discerning woodworkers and craftspeople across this country and beyond. From their humble beginnings in Chicago with the first-ever handscrew clamp, their unwavering commitment to strength, reliability, and durability reverberates through the ages. When our client approached us with their story, we first dedicated ourselves to understanding their goals and challenges, and what made them so adored by folks in the know. Then we rolled up our sleeves and got to work strategizing the execution of a series of tactics that would relaunch the brand and, at the same time, introduce it to a whole new generation of craftspeople. A digital storefront in the form of a website. 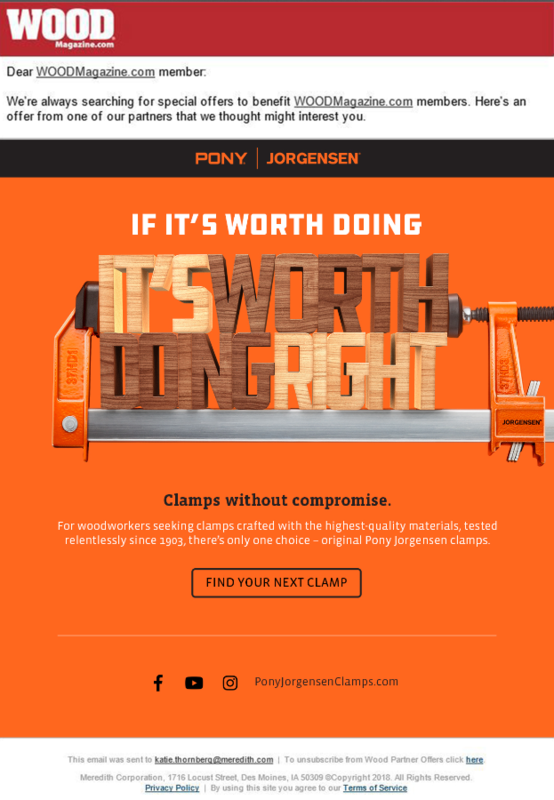 As the virtual storefront of Pony Jorgensen, the company website needs to capture the very essence of the brand. So our designers, copywriters, developers, and content strategists put their heads together to deliver a seamless and immersive brand experience that would delight human audiences as much as it would excite Google’s spiders. The result? A beautiful, intuitive search-engine-optimized website. Check out the live website here. Increased visibility through media placements and email. While Google goes about crawling and indexing the website, we wanted to ensure there was no lull in creating awareness about the brand’s resurgence. To that end, we set up a text ad campaign for the web and another for social media. The social campaign features visually stimulating digital banner ads and animated gifs. A captivating print ad that shares the campaign concept is finding its way into the hands of readers of WOOD magazine as of early October. 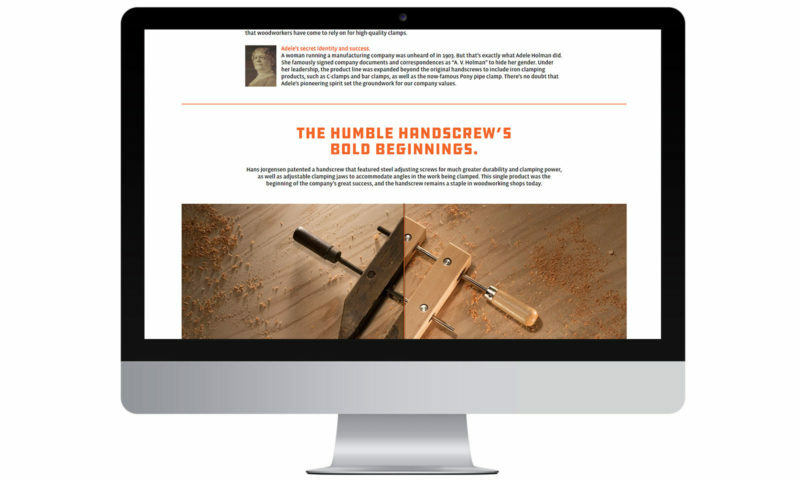 As well as an email blast to maximize reach and awareness within this woodworking community. Fresh, dynamic digital and social content to support an inbound approach. In order to continue building organic search equity based on an inbound methodology, we have a robust content strategy tactic in place. It’s aimed at empowering users to find the website when they’re looking for clamping solutions. Our approach flows in fresh, new blog content published on the website and blends it into an engaging social media presence. Head on over to the brand’s blog, Facebook, and Instagram pages to sample some of this compelling content. 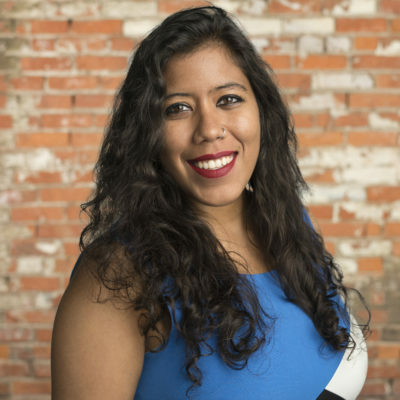 Capitalizing on traction with influencer outreach. Influencer outreach is a PR and content marketing strategy that involves persuading industry thought leaders to promote your brand. For Pony Jorgensen, this promotion takes the form of mentions, unboxing videos, hashtags, and posts on social media. 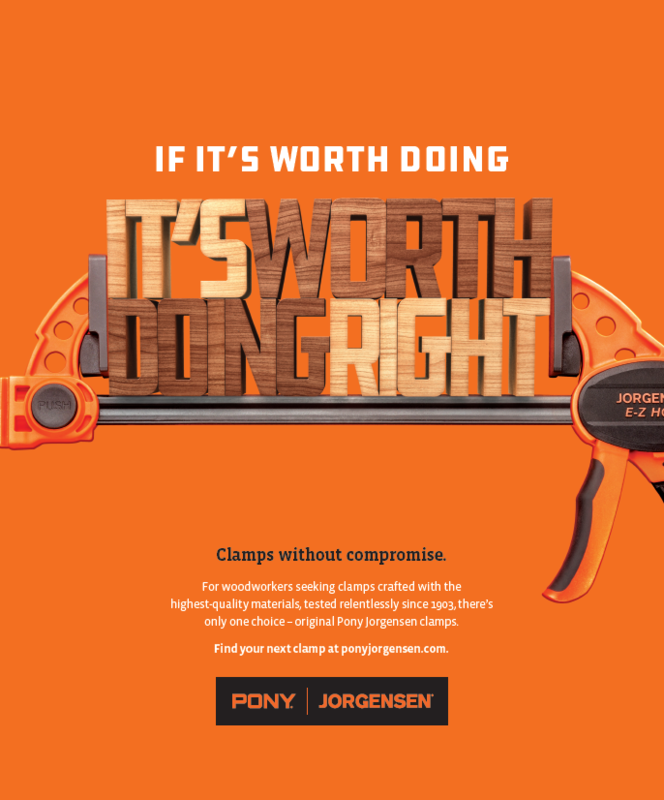 With 10 influencers in the woodworking community signed on and an influx of others who are excited about the buzz, the Pony Jorgensen brand relaunch is surrounded by a vitality everybody wants to revel in. Brimming with strategic creativity and sheer grit, we look back on the last seven months with pride, and eagerly welcome the next chapter of working with Pony Jorgensen. To see what Crowley Webb can offer your brand, get in touch with us.